Today, scholars distinguish four types of Russian surnames, depending on the letters that they end with, but most last names fall into two categories. 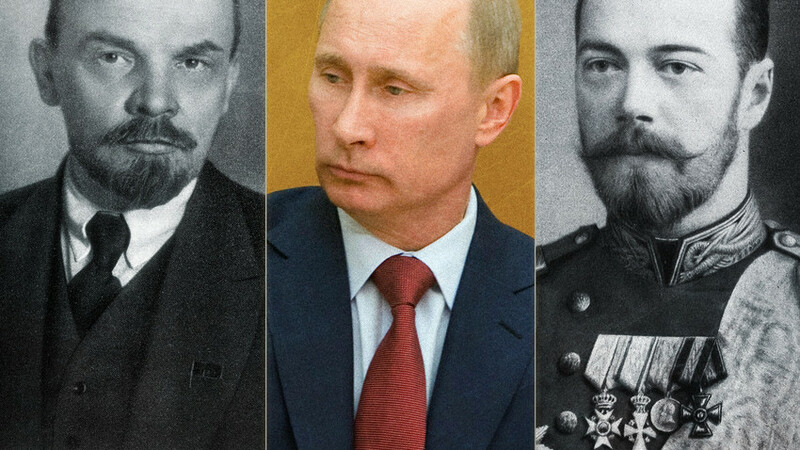 A long time ago, common life circumstances often determined the last names of powerful leaders who would forge modern Russia. The first references to Russian surnames date back to the 13th century, but only by the 1930s was the process of family name distribution completed throughout the country. Most contemporary surnames originate from an ancestor’s occupation, national origin, or a certain distinctive physical feature. Today, scholars distinguish four types of Russian surnames, depending on the letters that they end with, but most last names fall into two categories. Even the most famous surnames in Russia fall into one of these categories. No one knows the definitive source from where this now famous surname sprang, but it falls into the second most widespread category of names. Just like the surnames of the most widespread category ending with “-ov,” or “-ev,” those last names ending in “-in”were formed either from the name of a certain ancestor, or from an ancestor’s occupation, or alternatively, from a person’s distinctive feature, or a particular circumstance related to his birth or life. One theory says the Putin family name takes its roots from someone named Put’ay. Most likely, this is a modern version of this surname, and it traces its roots to a common name given to a newborn, in addition to his Christian name, either to make it sound easier to an ear used to Slavic names, or to protect the newborn form evil spirits. Put’ay could imply that the person in question was either born on a road (“put’’ means “way” in Russian), or was tightly bound in clothes (“puty” means “to fetter” in Russian), or was in some other way related to one of these terms. Since then, the person might have been called “Put’ay,” and many years later his descendants became known as “Putins” as an indication of their belonging to a particular family tree. This is probably the most famous family name in Russia. The House of Romanov ruled Russia for more than 300 years, starting with their famous ancestor, Mikhail Romanov, and ending with Tsar Nicolas II. Obviously, the surname has much deeper roots. The ancestors of the Imperial family trace their roots from someone named Andrei Kobyla, first known as Kobiliny (the name refers to a mare), and Koshkiny (the name refers to a cat). Only much later did members of the future dynasty change their family name after a great-grandson of Fyodor Koshka, whose first name was Roman. From that particular moment starts the history of the family that entered history as the Romanovs. Today, surnames ending with “-ov,” and “-ev” are the most common in Russia, comprising roughly 70 percent of all family names. The famous nom de guerre of the Russian revolutionary leader is only one of many, but certainly the most well-known. The origins of the famous pseudonym are not known for certain, but there are a few theories explaining why Vladimir Ulyanov became known as Lenin. According to one version, Ulyanov assumed the name in memory of the dead workers who were executed after a strike in the Lensky gold mines. Many scholars doubt the validity of this theory, however, because the first mention of the famous pseudonym appeared earlier than the tragic event. Another theory says that Ulyanov assumed the name Lenin after one of the three great Siberian rivers, Lena. A less poetic but more plausible theory says the Bolshevik leader adopted the name Lenin to keep a low profile when his real surname became a liability under the Tsarist regime. Are you still puzzled by the Russian patronimic? Read about Mr. Petrovich here.